although i've been MIA for the last few months and the few of you that actually might be stopping by are wanting an evan update, this is currently much more important. francis is a friend from high school. we were on the dance team together and i counted her as one of my closest friends. 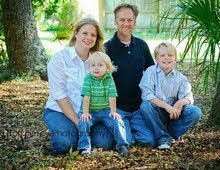 she is a 30 year old wife and mother of two young boys who was just diagnosed with a brain tumor. the doctors don't feel it's cancerous but, it's a brain tumor, none the less. she's having surgery to remove it november 30 at the mayo clinic in jacksonville. please surround this sweet woman with prayer. ask for the wisdom and guidance of her surgeons. i truly believe in praying specifically and i am specifically praying for complete healing! 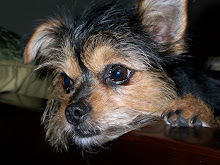 you can get to know frannie a bit and keep track of her story by visiting her blog here. i can't stop thinking, 'what if this was me.' if it was, i'd want as much prayer as possible. i'm sure francis feels the same way! so my friend dana, which i think the 3 of you that read my blog all know, is having a great giveaway for a $25 gift card to ECO-store USA. check out her sight for more info! we decided to have evan's birthday party the weekend following his birthday since my SIL was due to have our second neice the day before evan's birthday (the 21st). of course we had no idea that little (really little) sydnie grace would come 2 weeks early, the day before big sister savanna's birthday, on the 12th. so we decided to do the customary cupcake on his actual birthday along with a few presents from the fam. it didn't help things that it was late and he was tired. no matter what we did, he wouldn't stop screaming. we'd stick some icing in his mouth, he'd stop long enough to swallow, then go right back to crying. poor little guy. he was traumatized! Evan is 1 year old! i know it may not seem like it but, i really do enjoy blogging. it may take me forever to post something but that's only because, in true mommy fashion, "me time" is a luxury. at the moment, i'm waiting for evan to wake up from his nap so i'm sure this post will be interrupted. evan is growing and changing so much. his one year check-up had him weighing in at 22 pounds 1 ounce and 30 3/4 inches long. he is almost walking on his own. he'll take a few steps be usually gets too excited, leans forward, and falls. he talks like crazy in his own little language. he will say mama and dada but not necessarily in a correct manner, but does say no and bye bye when he waves. he signs "all done/finished" and "more" when eating. and of course points and screams at things he wants. he'll tell you no after you tell him no (that's going to become a real struggle)and sometimes he'll even shake his finger at you while saying it! he is quite the little handful. nursing finally came to an end last week. evan was just biting WAY to often. he's still isn't a great eater but most days he does an okay job. he's consistently gaining weight so i'm not too worried. i just can't believe one year has passed so quickly. what an amazing year it has been. happy birthday angel baby! Evan is 11 months old! 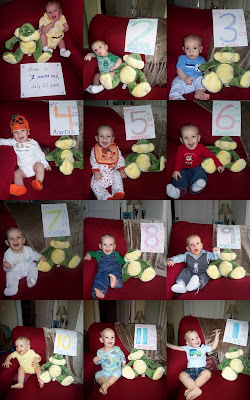 i didn't realize until a few days ago that i had not written evan's 11 month post! considering that this will be my last "month" post, i can't let it slip by. i feel like i've been so busy just watching evan grow. he is changing so fast, i really can't believe my eyes. he is so interested in everything. when he's playing, it's like he's trying to figure out how his toys work. we have a little train that spins balls around and drops them out the back. he loves to see them spin, and tries to grab them before they drop. yesterday, he let them keep spinning and kept bending over and looking into the hole to see where they were going. this kept his attention for quite a few minutes. maybe he has a future in engineering. he also loves to put smaller toys inside larger toys and shake them so they make noise. he's really exploring everything he sees. i love watching his learning. crawling is still evan's only method of transportation (fine by me!). he is standing longer and longer each time he lets go and will take a few good steps when you hold his hands. but for the most part, he doesn't seem too interested in walking. i even bought him a walker (don't worry, he's well supervised while in it) but he doesn't really like it/can't figure out how to use it. he can push himself backwards but mostly just sits in it. i'm in no hurry for the walking to begin so this is all fine by me! we are rapidly planning his first birthday party and i almost want to cry when i think about it. this has all gone by way to fast. i'm not ready to move out of the baby phase. 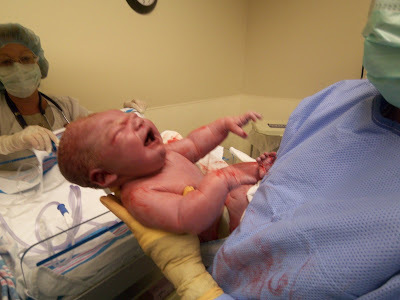 i can understand why some feel the need to have another baby at this point BUT, that's not for me! i just want to savor each and every day with evan. i'm not ready to have to share my time. plus, one child in diapers is more than enough for me! i've been a bit lax in my picture taking this month but i do have a few cute shots to share. enjoy! who doesn't enjoy playing with a laundry basket?!?! stephanie and addison came to visit! we introduced them to our favorite pizza place, stavro's! evan is learning how to walk myer...maybe i should teach evan the correct way to hold the leash?